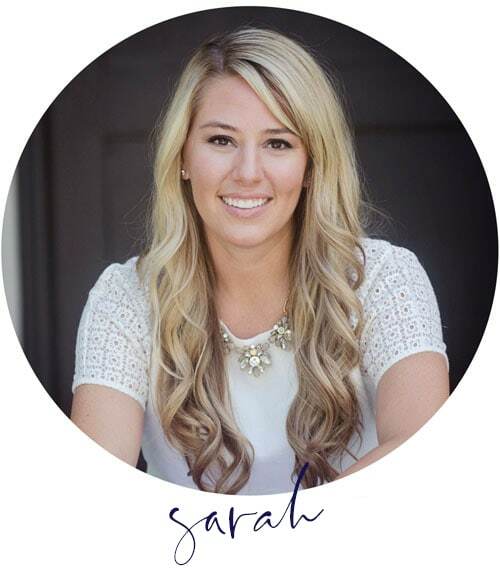 Welcome to this week’s Wednesday Watch List, where I share the random things that captured my attention and stole my heart over the past week! First of all, THANK YOU! Your response to our kitchen reveal blew me away. It’s always a bit nerve-wracking putting such a big project out there but all of your sweet comments, feedback and questions were all so appreciated! I’m planning a big FAQ post for tomorrow or Friday so keep those questions or image requests coming! The post should be full of a lot of good information! Now, on to today’s picks! 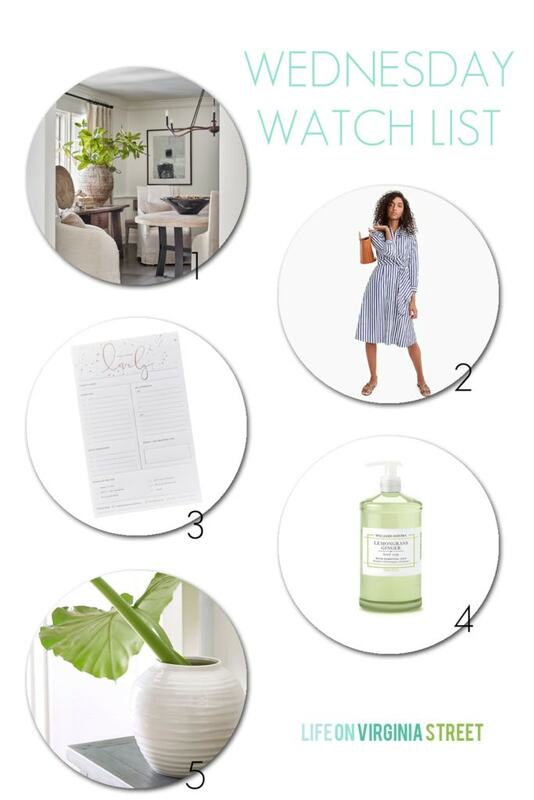 1 – If you can’t tell, I’m obsessed with oversized greenery in otherwise fairly neutral spaces. 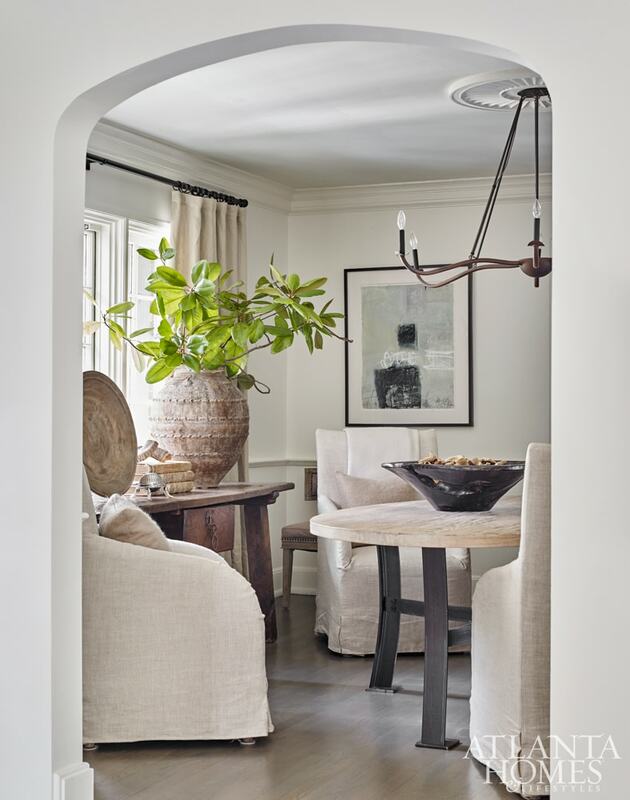 That’s why this image from Atlanta Homes & Lifestyles, designed by Eleanor Roper, caught my eye. 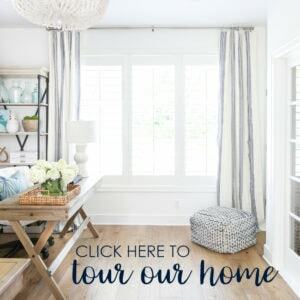 Which then led me to the entire home tour, and rooms full of this favorite look! It’s a unique home that I think you’ll love – so warm and inviting! 2 – I’m loving this tie-waist shirtdress for late summer and fall! It comes in three stripe and two solid options. I’ll let you guess which one I would pick 😉 I love this silhouette though for those of us with curvier bods and big hips. It always seems to be a flattering style with the tied waist! Reviews say it runs small (I don’t think there is any give in the fabric) so order up. 3 – I start every morning by making a to-do list. Sometimes it’s just on Mondays for weeks that aren’t as busy, and other times it’s on a daily basis. 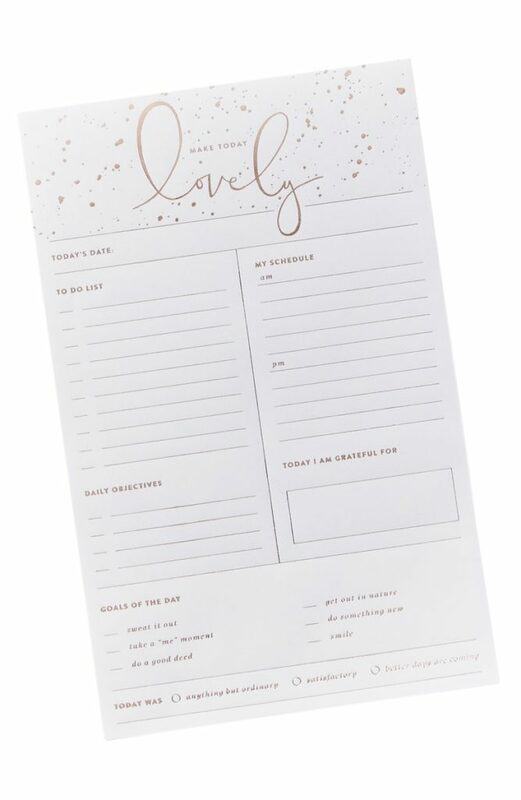 I’m in love with the simplicity of this daily notepad planner. I hate bulky binders and planners, so this is perfect. When the day is done, I remove the sheet and store it nearby but off my desk (in case I need to reference it later). The perfect solution! I also love that this one includes a daily goals and gratitude section, to be more mindful with each! 4 – I struggle big time with finding hand soap scents that Kurtis and I can agree upon. 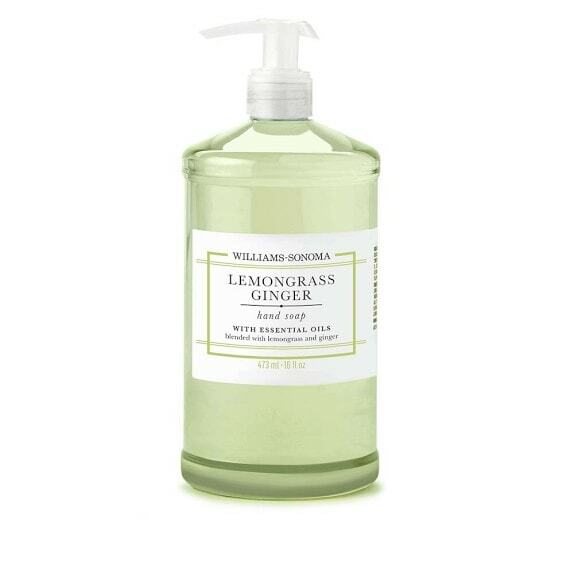 We struck gold when I found this Lemongrass Ginger hand soap! It’s heavenly and we’re both obsessed with the scent. I actually bought this duo, but can’t speak to the quality of the dish soap yet because I still haven’t used it. But I’m tempted to buy the lotion now too! It’s just a good, clean, non-obnoxious scent! 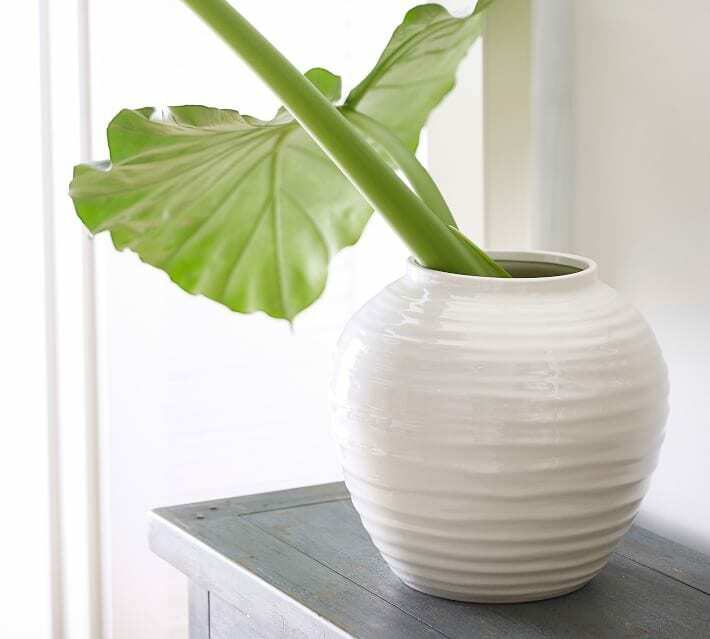 5 – This gorgeous white vase made an appearance in my kitchen reveal yesterday (along with the soap above)! It’s a bit of an investment piece but I’m completely obsessed and am borderline contemplating a second one. It makes for great oversized arrangements like I mentioned above because it’s substantial, but has a smaller opening helping to create organic arrangements. I feel like it seems bigger in real life than it does on their site, and it is heavy. I couldn’t be happier with it! Always love Wednesday Watchlist…. and I was happy to see that white vase! Wow, it’s a stunner!! I noticed it immediately in your kitchen reveal. Is that maidenhair fern you have in it? Whatever it is looks wonderful. A perfect accompaniment to a perfect new kitchen!